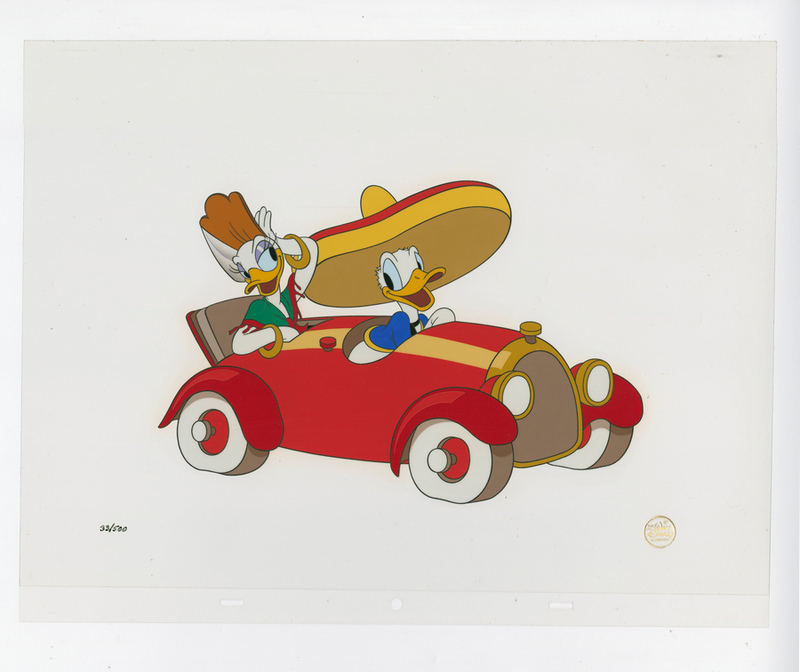 This is a limited edition cel depicting imagery from the Walt Disney Studios animated short Don Donald (1937). 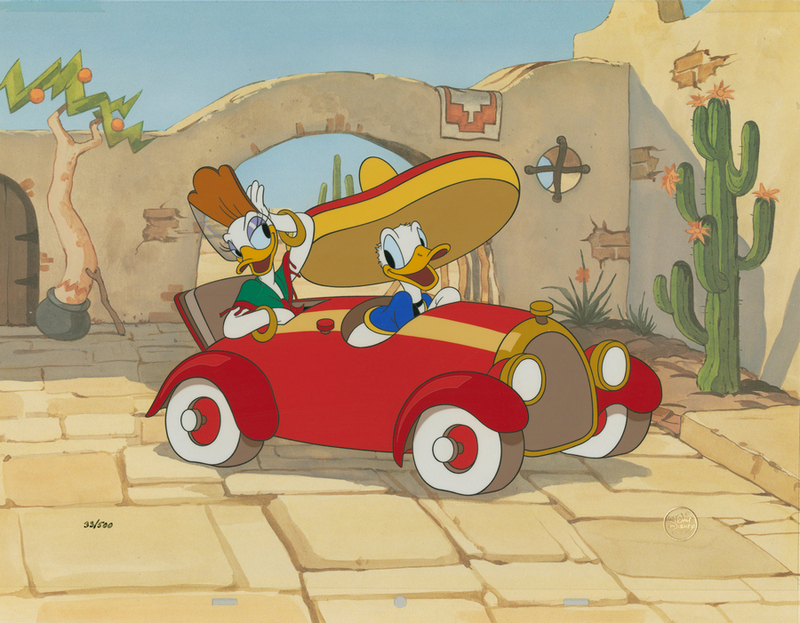 This hand-painted limited edition features Donald and Daisy in Donald's car on a date. This limited edition was released in 1991 and is sold out through the original offering, and only available on the secondary market. The overall measurements of the piece are 12.5" x 16" and the image itself measures 7" x 10". 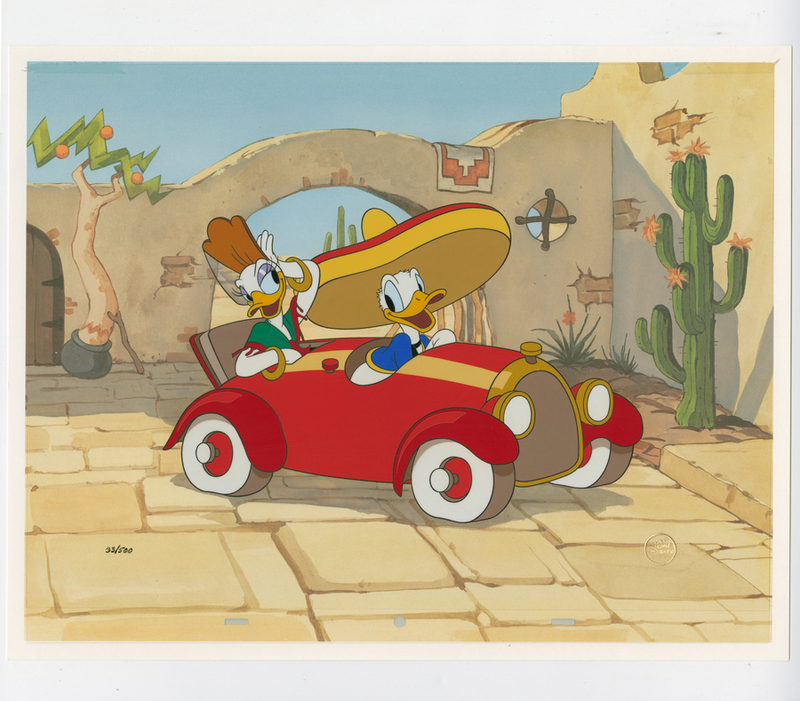 The cel is in great condition and is paired with the lithographically printed reproduction background as the art program prepared the piece.